Groupon stock traded up 3.4% the day the deal was announced. That added to a 6.82% rise so far this week after an analyst at Macquarie Capital USA Inc. hiked the ratings outlook for Groupon as the company shifts its corporate strategy and refocuses on e-commerce. Today (Friday) — the day after the deal was announced — GRPN stock remained in the green (0.4%) throughout morning hours. Still, Groupon stock is still off roughly 40% from its 52-week high, and it's nearly 80% off from the $25 level it held during its 2011 initial public offering (IPO). The Chicago-based company has a long way to go before it returns to those lofty price levels. A transition to the sales of physical goods instead of discount vouchers is a first step into creating what is known as an "e-commerce marketplace." You see, in 2014, Groupon Stores ranked 44th in the Internet 2014 Retailer Guide. The company is attempting to boost that rank by relying less on providing discount deals to large amounts of customers and more on selling products directly to the consumer. In the first quarter of 2015, Groupon looked as though the shift was working in its favor. Its revenue topped analysts' expectations. 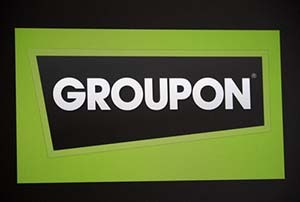 Adding Groupon Stock Value: Why M&A? Groupon clearly recognized opportunity in the $70 billion food delivery industry. In April, it formally announced it was launching "Groupon to Go," a food delivery service that provided presence in large cities like Chicago. "Online food ordering and delivery represents an untapped opportunity for Groupon and serves as a natural extension of our local marketplace," said Groupon CEO Eric Lefkofsky in a statement. "The potential in delivery and takeout is apparent — especially with the growth of mobile — and OrderUp's operational ability, coupled with Groupon's engaged customer and merchant base, bring tremendous scale to the space." The question was how to best go about this new food delivery endeavor. "Companies have to make a decision when they want to move into a new business," Money Morning Economist Garrett Baldwin said on July 16. "They can either build a division, meaning they can hire a team, build the technical infrastructure, create the relationships, create marketing partners organically… or they can buy a company that is in the space already and has all of the needs in place." Groupon's trouble was it had to compete with a smaller platform and more limited options than competitors — notably another Chicago-based company, GrubHub Inc. (NYSE: GRUB), and Yelp! Inc. (Nasdaq: YELP), the owner of restaurant and delivery app Eat24.